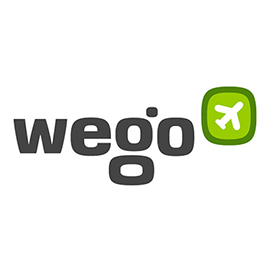 Wego is looking for a Graphic Designer in Cairo, Egypt. If you meet the requirements below, you will be eligible to apply via Digital Marketing Community. Accountable for the creation of various digital media including web banners (static and HTML), social media, infographics, and creation of custom graphics of both online and printed materials. Assemble design elements including photography, descriptions, prices, and logos to create graphics, icons, and layouts. Assemble recorded footage into finished video projects aligned with the brand’s image and suitable for social media platforms. Effective experience in Adobe Photoshop, Illustrator, After Effects, google web designer, InDesign, Premiere Pro, and Final Cut Pro. Be comfortable with most video codes and formats. Proficient experience in developing and exporting HTML files. Proven track record in deadline driven environment and internet video. Solid experience in producing motion graphics (GIF), videos and illustrations. Familiarity with social platforms such as YouTube, Facebook, Twitter, SnapChat and Instagram. Outstanding communication skills and experience as the main point of contact. Strong communication skills and be able to give and receive critical feedback in a team environment. Be thorough, technical, organized, and creative at the same time. Positive attitude and a good team player. Able to work independently and under close direction with minimal supervision and in a fast-paced with the ability to multi-task and prioritize.